Although grasses dominate the prairies, it is the flowers that capture our eyes. The beautiful colours, sweet fragrances and sugary nectar of prairie flowers entice animals like butterflies, bees, flies, moths and hummingbirds into visiting them. Flower visitors become unwitting couriers for plants, moving pollen from one flower to another. Once the pollen on an animal rubs off onto another flower, the plants’ seeds are fertilized and a new generation is created. So many insects visit flowers that some insects and spiders have become pollinator predators, ambushing them as they try to feed. Prairie plants and pollinators are among the rarest in Canada; less than one quarter of the original habitat remains. Through pollination, these organisms interact with each other, helping to assure their mutual survival. In this website, you will discover these organisms in the Plant and Pollinator Gallery and also through the Virtual Prairie Tours. 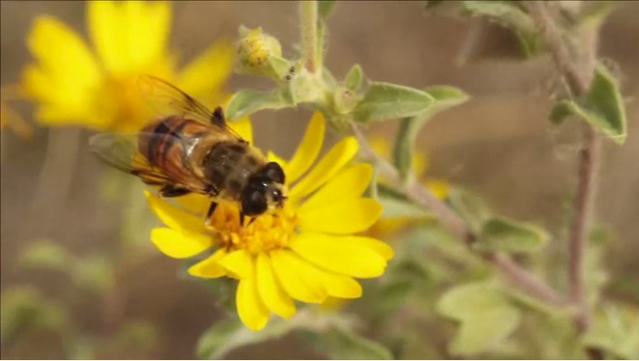 Learn more about pollination in the FAQ section, then take the Pollinator Conservation Challenge to help conserve prairie plants and pollinators. For younger visitors, the Games and Activities section will be of interest.